Since today is International Women’s Day, we’d like to take the opportunity to thank all our female endorsers for their music and their valuable work in the music industry. The role of women in the music business has become an increasingly present topic, as women from all walks of life continue to flourish in all areas of this male-dominated business. So to celebrate this positive development, we’ve decided to begin introducing one of our successful female endorsers on each first Tuesday of the month. We’re starting off this week with the wonderful Fela Davis, a front of house engineer and content creator at 23db Productions, who’s gathered over a decade of experience in audio engineering. Her past experiences include working for industry power houses Clair Broadcast and House of Blues. When she’s not recording, mixing, or mastering songs for 23db Productions, she’s mixing FOH for 5-time Grammy-winning jazz artist Christian McBride and Grammy-nominated guitarist Ottmar Liebert. We asked Fela about her experiences with LEWITT microphones. 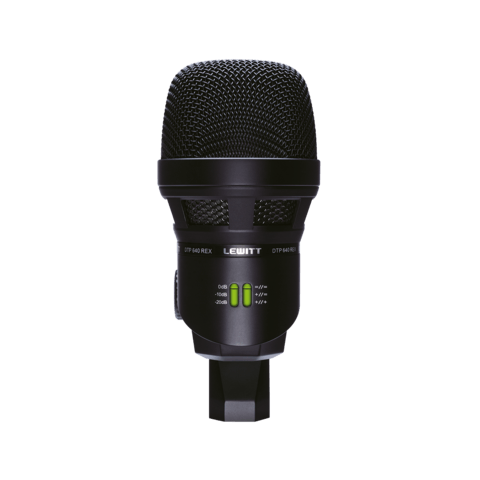 [LEWITT] Why did you choose LEWITT microphones? 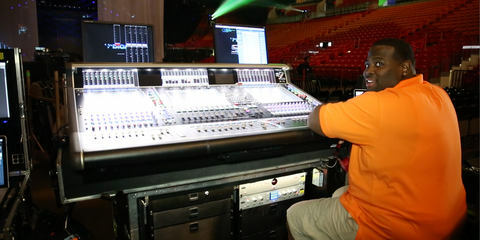 [Fela Davis] I’ve worked for some of the biggest audio companies in the business, including Clair Global. I’ve had hands-on experience with every mic you can think of. And LEWITT blows them all out of the water. I don’t have to add a lot of compression. I don't have to add a lot of EQ. I get a great warm sound that I could not get from other brands. The sound is lush and transparent, two qualities that you typically don’t find in the same mic. I originally purchased a drum kit set. The price was reasonable, they sounded better than much more expensive mics, I’ve been very happy with them ever since. [LEWITT] Do you think there’s a LEWITT sound? [Fela Davis] Yes – it’s a natural sound. It is exactly what’s happening on the stage. I did a gig with Christian McBride in his hometown, and people came up to me afterwards and complimented me on the sound. That never happened before I started using LEWITT microphones. Now, it happens all the time. LEWITT mics pick up all the natural tone that your ear wants to hear from the source. I use minimal EQ with LEWITTs. So as far as mics go, they’re really a godsend. The LEWITT mics just cut through everything. [LEWITT] What do you think about the drum sound of the Beat Kit Pro 7? [Fela Davis] I love the Beat Kit Pro 7. My drums are super-present without any one drum overwhelming the rest of the mix. I love how the delicately rich tones of the kick, snare and toms cut through. There’s great separation between each drum – I can hear each individual tom. 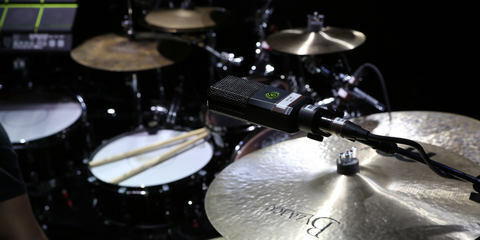 The LCT 340 pencil condenser mics sound amazing on the cymbals. 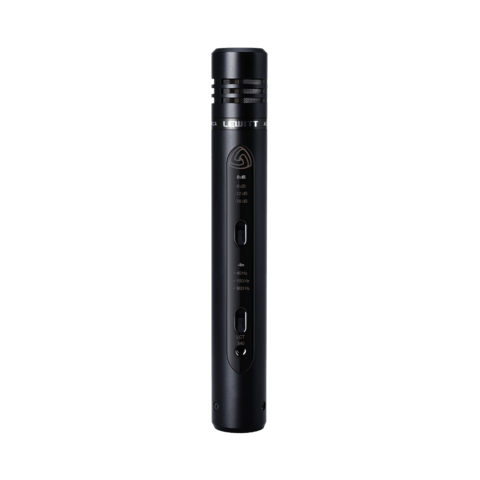 And the DTP 640 REX kick mic works with everything: it’s my secret weapon that I take to my small and large gigs. I like it when people see me behind the board and they just know it’s gonna sound right. 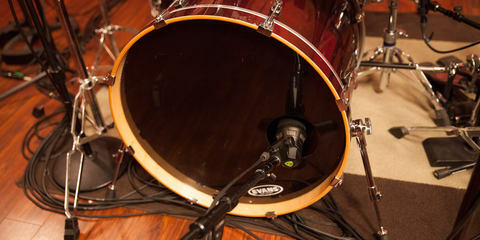 I’ve used every brand of drum mics, and the LEWITTs kill it – they just blow all the other drum mics out of the water. Since purchasing the DTP Beat Kit Pro 7, I’ve had several other engineers as well as random audience members compliment my drum sound. The vocal mics I’ve never used, but if they’re anywhere near as good as the drums, I am going to be super happy – those are the mics I’ll be getting next. So far, the DTP Beat Kit Pro 7 has been the best gear purchase I’ve ever made! [LEWITT] Which is your favorite LEWITT mic? [Fela Davis] I don’t have just one favorite. The LCT 550 and the DTP 640 REX kick mics are my two favorites. And I also love my LCT 240 mic on piano. 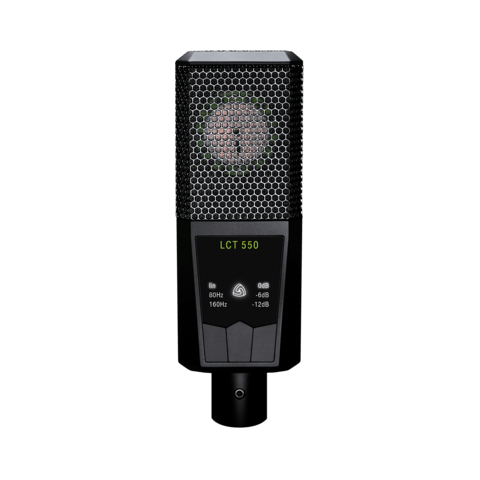 [LEWITT] Why exactly is the LCT 550 one of your favorite mics? [Fela Davis] I loved the LCT 550 when I was using it on Drum Overheads, because it made the kit feel bigger in the room when I was mixing front of house. It filled in my drum sound without overwhelming the mix. I relied on the overheads to get a lot of the great brush work that the drummer was doing on the snare and the cymbals. The mic also had a great round sound that was reminiscent of what you’d get from a high-quality ribbon microphone. The signal was smooth and rich without any EQ or compression. 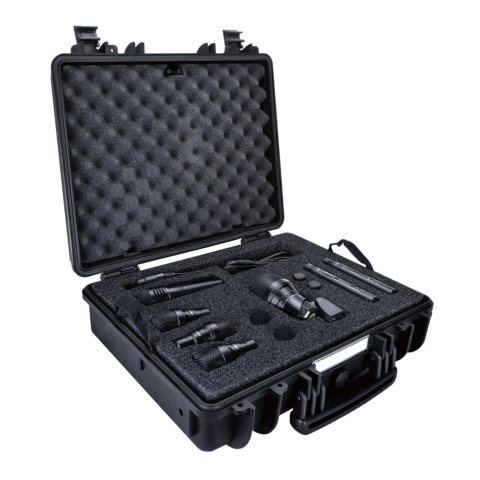 We’ve tried it on both guitar and bass amps, as well as on acoustic guitar, percussions, drum overheads, sax… It’s become our-go to mic. [LEWITT] And what about the LCT 240? [Fela Davis] I was fortunate to have a Steinway grand piano on this particular gig, and the LCT 240s placed the piano perfectly in my mix. The venue engineer there was also impressed with how good they sounded in the house. At the studio, on the other hand, I like the very unique combination of dry, smooth, rich, clean, and thick combined together. It makes the piano sound even bigger. And adding light compression gets you a warm wood sound from the piano. [LEWITT] The LCT 340 is also perfect for the piano – have you tried it out? Yes, we used a pair of those to record a grand piano for an album. No EQ, no compression: we got great results right on the spot, without tweaking or spending time on it. Just set it up and record. We loved every detail that this mic gave us when it hit the studio monitors. 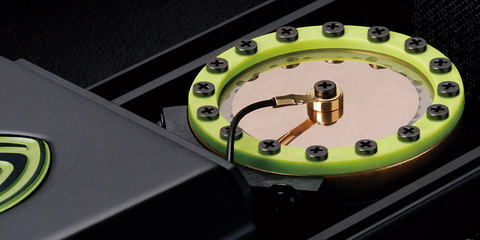 So if you need your instruments to cut through the mix, you can trust the LCT 340. 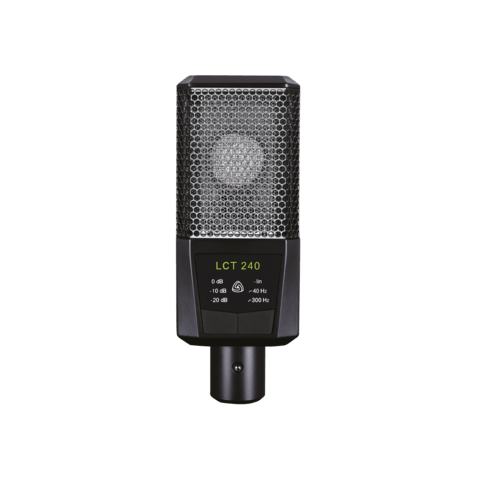 Warren Huart of Produce Like A Pro tested the LEWITT LCT 240 and recorded an acoustic guitar, an electric guitar, a electric bass and vocals.